and a special gift from only child aerial theatre! Join the cast and creatives of TwoFold for an elegant and cozy evening of performance teasers, live music, artisanal cocktails and snacks, and a silent auction to help fund the upcoming production in May 2019! TwoFold is a poetic world of dualities, where the ordinary and extraordinary are two sides of the same coin. Volleying between the mundane and the magical and between isolation and collectivity, four unique souls unpack and reconstruct what it means to be whole. 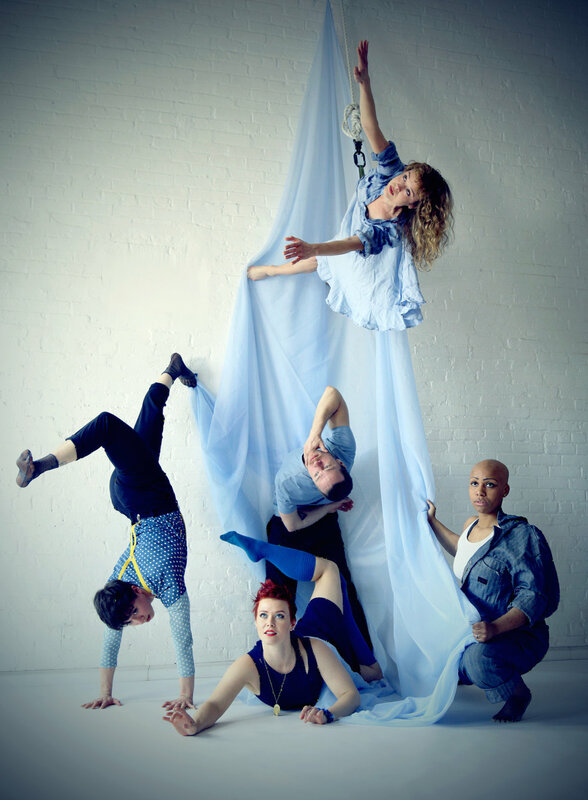 Performed in an intimate, site-specific loft for less than 40 people per evening, TwoFold features aerial dance and acrobatics, live music, overhead projection/shadow puppetry, and a few surprises. Featuring: Cassady Rose Bonjo, Šara Stranovsky, Gil Verrelli, and Ashley Winkfield.